We may still be a long, long way off the iPhone 8 being announced, but the rumor mill is in overdrive already. Excitement is always high when a new iPhone is being discussed, and while the iPhone 7 and iPhone 7 Plus are still only a few months old, attentions have already turned to what Apple will do next. That means the iPhone 8, if indeed Apple skips the iPhone 7s destination as expected. We’ve been treated to one or two very nice concepts of what the next iPhone will look like, and as new information leaks out surrounding what Apple will bring to the market in September, we can only expect more concept art and concept videos to be put together by anyone with an interest in smartphones and an artistic mode in their body. Today, we were sent a link to a new concept video, created by Thadeu Brandão and published to the ConceptsiPhone YouTube channel and we have to admit, this one looks absolutely stunning. The first thing that immediately jumps out at us here is the screen. 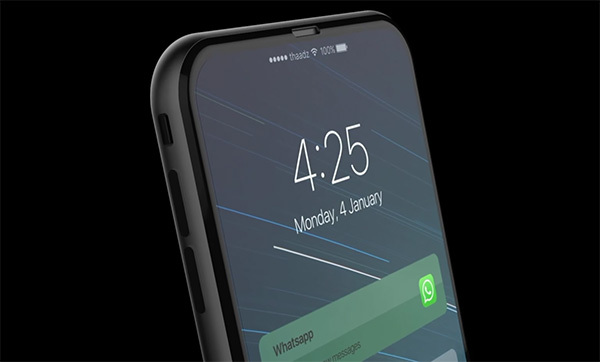 With small bezels and a screen that, as per rumors, extends to encompass the Home button and earpiece, the iPhone 8 concept offers up the suggestion that a future iPhone could offer functionality similar to that of the MacBook Pro’s Touch Bar. 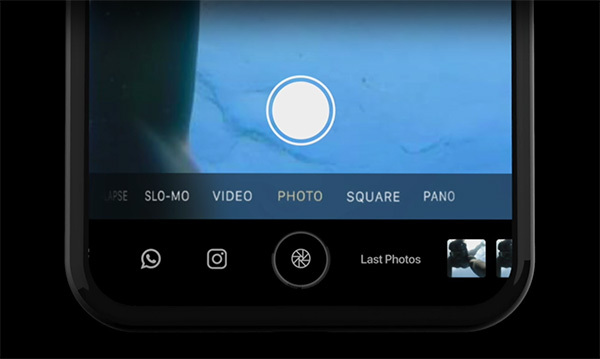 The thought of having small software buttons over and either side of the hardware Home button intrigues us, and this is just one of the many reasons we enjoy seeing well-put-together concept videos. Having apps designed around the Home button might involve major changes to Apple’s mobile firmware as well, however. Let’s hope the company has something like this in store for iOS 11. If Apple’s real iPhone 8 looks half as nice as this one, even without the additional functionality, then we’ll be in line to buy one. Check the video out for yourselves. We are sure you will agree. Touch-bar similar technology to replace home button on iPhone. All I want is bezel less. Hate bezel, really.